The city of Nîmes is a grand tourism site and annually, millions of people flock toward this Southern France city to attend The Feria of Nîmes. 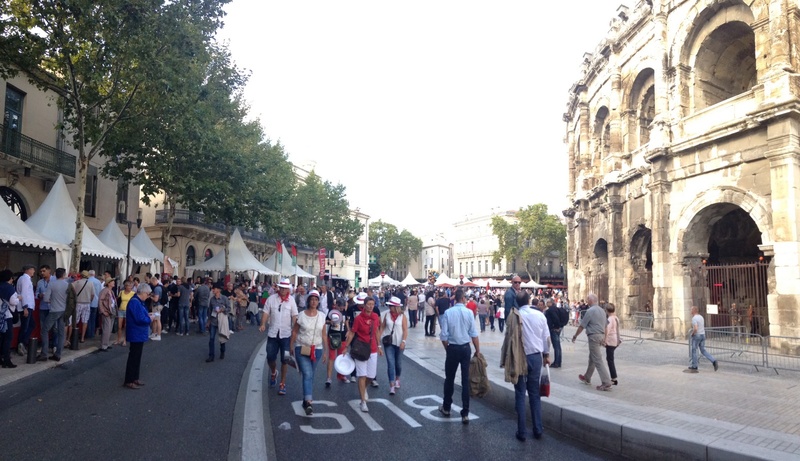 The two Ferias of Nîmes, Feria de Pentecôte and Feria des Vendanges, are splendid festivals which are among the largest ones celebrated in France. 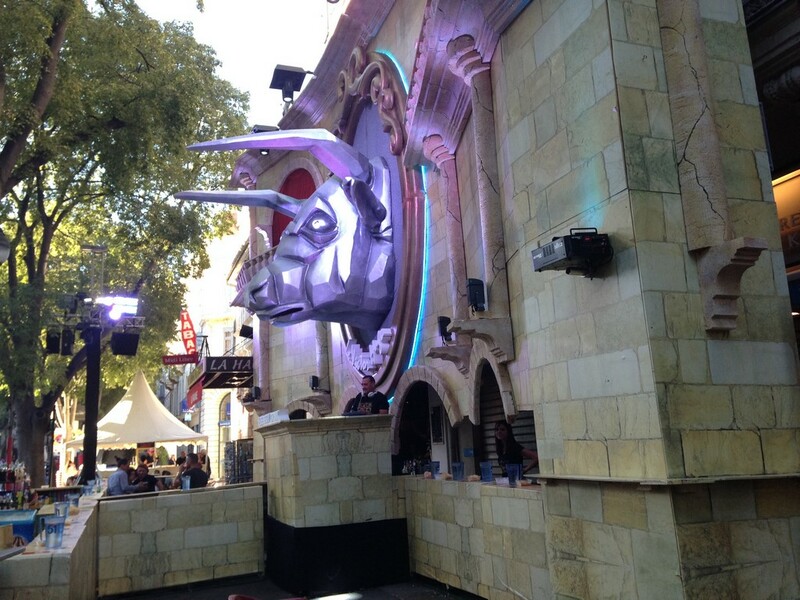 Both Feria are also a famous tourism attraction for people across the world. You will literally have an out-of-the-world experience while enjoying the festivities of this event and forget where you are due to its dreamlike nature. 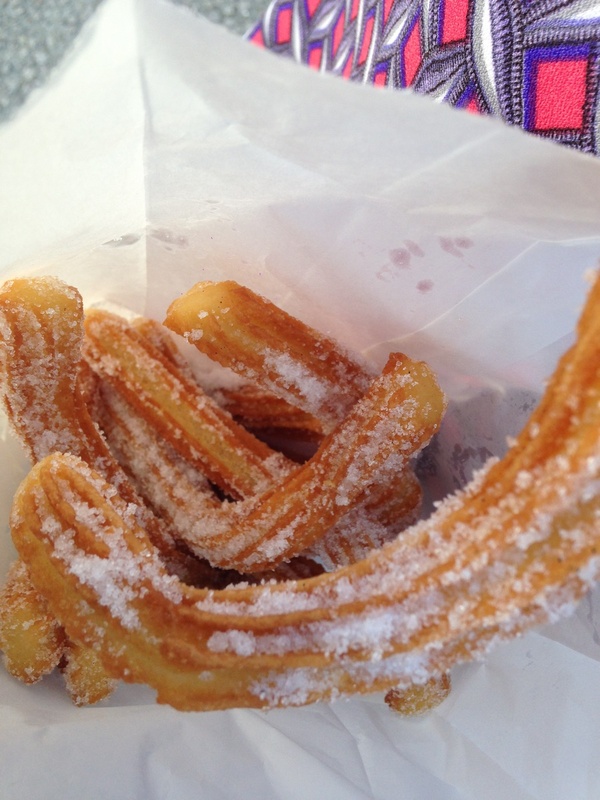 The feria have a touch of Spanish and local cultures in its very essence. 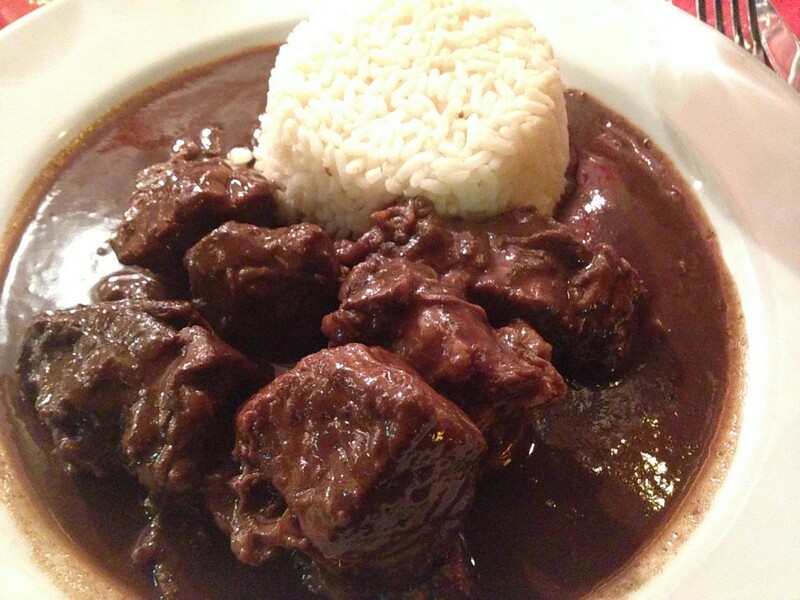 The food you eat in most places includes Gardianne de Taureau (Black bull stew in red wine, olives and herbs) and even the well-known paella while you sip the poplar sangria (Wine with marinated fruits). Not to mention the bull games such as abrivados that takes place among the locals, the corridas and the flamenco dancers that display their talent in the streets. If you are a foreigner, planning a trip to France, this article will give you several information to assist you in planning your trip accordingly. So you may enjoy your tour immensely along with your family and loved ones and create nostalgic memories for the time to come. And I have to say this is to me the best festival ever, it is just like a one life experience. 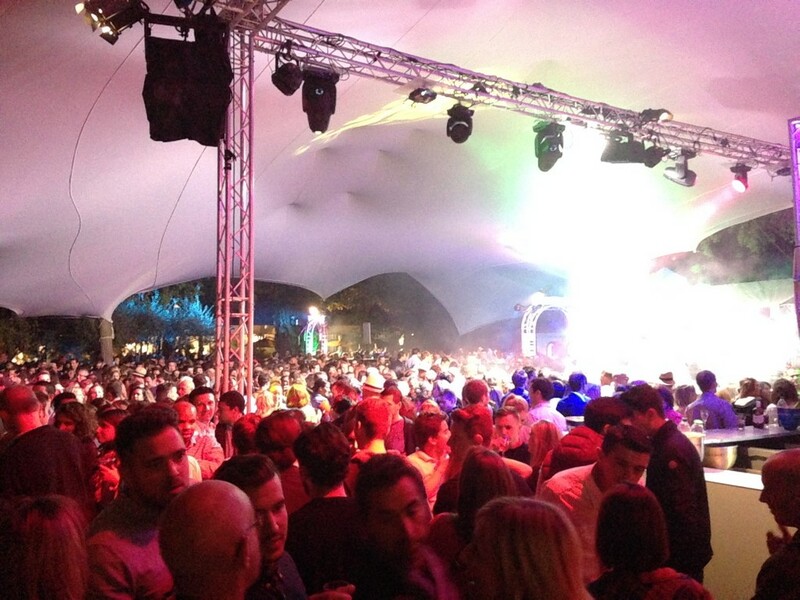 Welcome to the South of France, welcome to Nîmes, welcome to the world of the Feria!! Nîmes (pronounced as neem, the ‘s’ being silent) is a city located in the South of France, in the ragd Department, in the region of Languedoc-Roussillon. 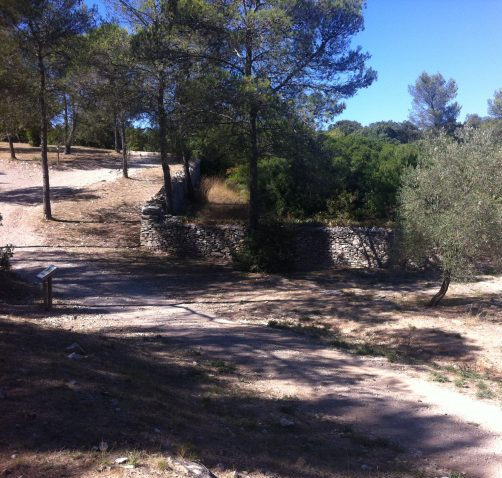 It is located near the Uzes town and the Pont du Gard. Nîmes is also located near the provincial cities of Avignon and Arles. 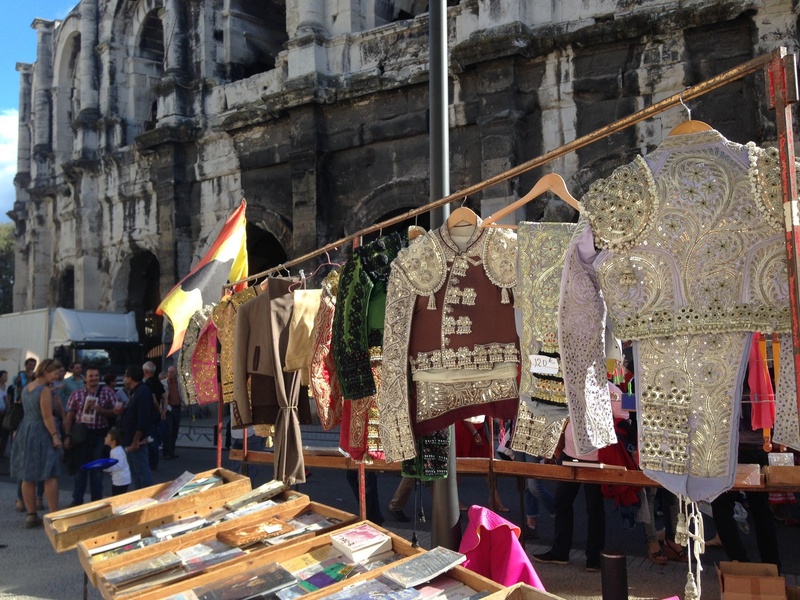 Nîmes is well known for its blooming textile industry in the 19th century and 20th century. The name denim (from the Blue Jean fabric) is originated from Nîmes, by the way. Besides, Nîmes is famous for its glorious Roman history and some amazing Roman monuments spread across the city such as the Arena of Nîmes, The Maison Carree etc… The city also boasts a variety of fabulous gardens and parks which are a great source of pleasure to explore such as Le Jardin de la Fontaine. Getting to the city is extremely easy. You can hire a car and park it in one of the public parking by yourself. Or you can travel aboard a train and walk for about ten minutes from the train station to reach the Roman Arena. There are numerous trains available to reach Nîmes, including a TGV line going directly from the Roissy Charles De Gaules Airport. It reaches Nîmes from Paris within about 3h! There are also buses available for traveling to the city of Nîmes, which make the ride highly convenient. If you need any help, the tourism offices are very helpful and guide you till the very end to make your trip planning comfortable and easy. 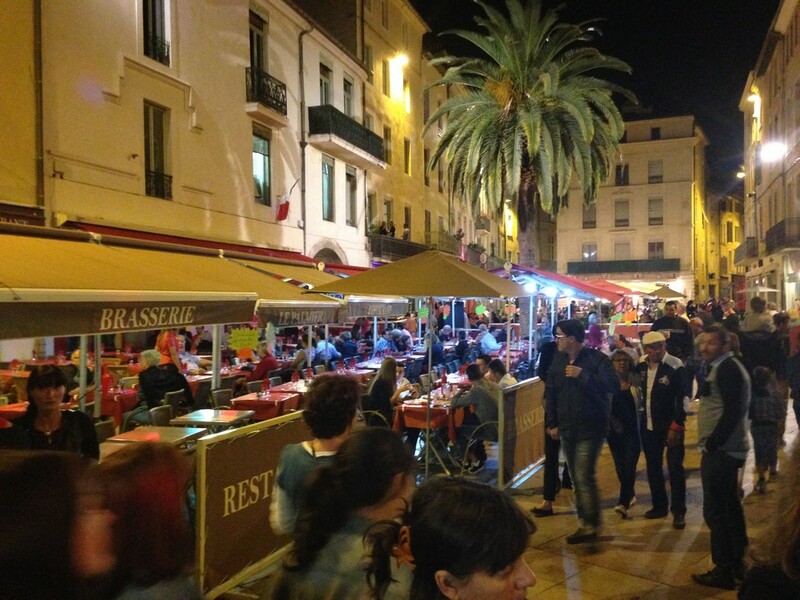 The Feria of Nîmes is one of the most anticipated events and the lush festive time of the year in France. 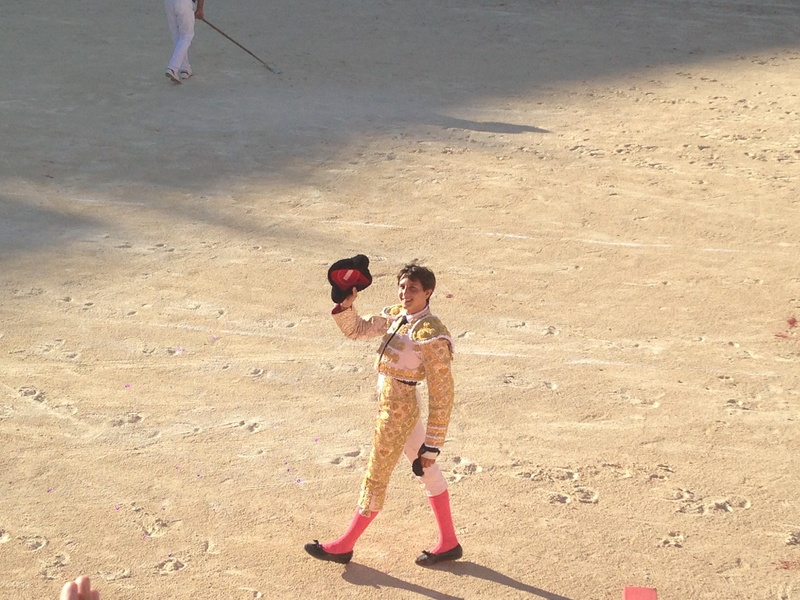 Bulls are the main attraction during this event and bullfighting is observed among the celebrators. 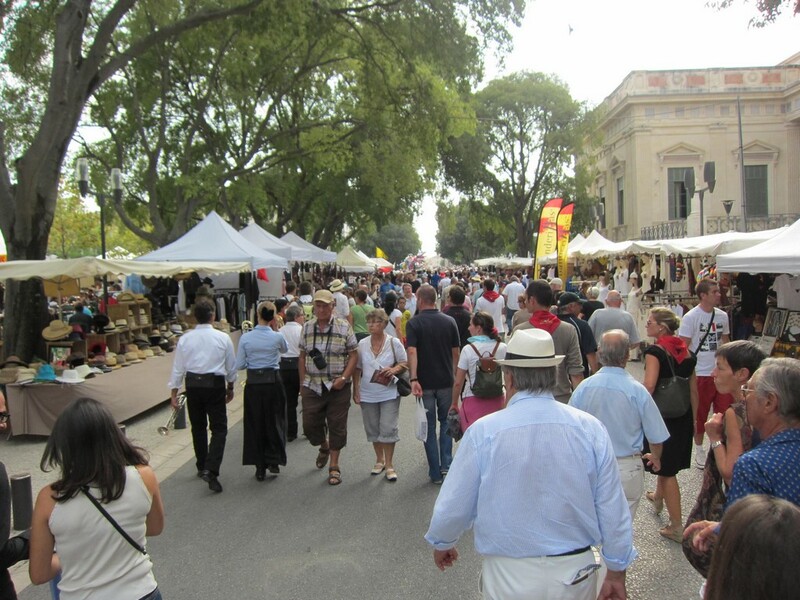 But there are lots of other things to see and various forms of entertainment in the Feria of Nîmes, making it a great exhibition for locals as well as the tourists from around the globe. People find these events as a fabulous source of joy with their loved ones and they throng in huge numbers to create unforgettable memories together. This is a time when the music, dance and the raging festive atmosphere is at its peak. The liveliness among the performers and the spectators is contagious; you just can’t help smiling with the others with their madness and the spirit to make the most out of this festival. You will love meeting new people who just like you are their too see the beautiful colors, dance to the melodious tunes and eat the traditional foods in the Feria of Nîmes. 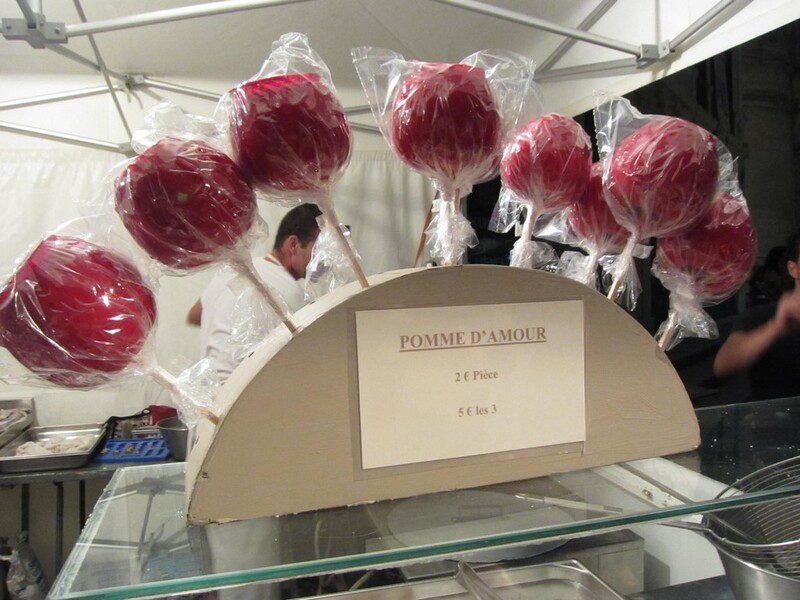 There are generally two Ferias held in France, every year which are both equally appealing and full of zeal and zest. Feria des Vendanges is the wine harvest Feria which is held in the city for four consecutive days of September which are Thursday, Friday, Saturday and Sunday. It is held the second week of September. The Feria des Vendanges has been popular among masses since 1978 and is a great family fun filled festival. It also less crowed than the Feria de Pentecôte because it is held at the end of the tourist peak season. So this Feria will suite you perfectly if you come in family or you just want a version of the Feria de Pentecôte with less tourists and more locals. Feria de Pentecôte however, is a festival that extends for 6 days straight and is one of the most active events of France. Usually held during between the end of May and mid-June, this is the Queen of all festivals in the South of France and perhaps in France. There is a glorious display of musical performances by the locals, bullfights, parades and flamenco performances along with holy activities and entertainments for adults and children alike. Pentecost is celebrated in commemoration of the Holy Spirit decent on the apostles and many followers of Jesus. It is a public holiday on Pentecost Monday, which is also known as Whitsun and is a celebratory day in many European countries. In both festivals the celebrations are almost the same. 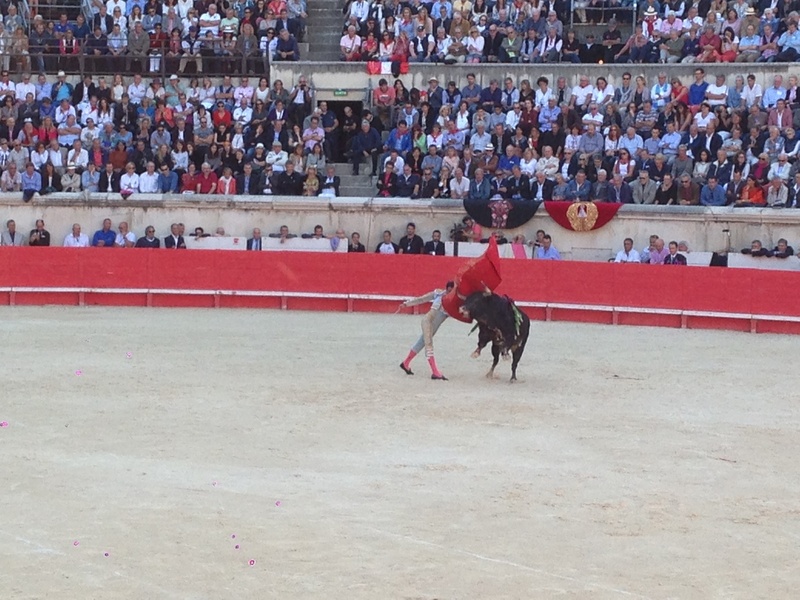 The bullfights are Spanish styled corridas held in the two thousand years old Arena of Nîmes. Many a times, non-violent games are also held during other days of the year. We call them Courses Camarguaise, a ribbon is tied around the horns of the bull and the main game is to untie it, with a tiny hook shape grip in the hand palm within a certain amount of time. The courses camarguaises are held all along the year in the area of Camargue and around. The two festivals have quite a lot of things in common. The Feria commences with a procession named the Pegoulade, while street bands play music on the boulevards and flamenco make a show of their performances. Wine cellars are opened where sangria and champagne are flowed with generosity. It ends with a mass gathering in the cathedral and the offerings are held during that time. Pegoulade: The festivities of the Feria of Nîmes start with a procession where a giant serpent is made with performing dancers, acrobats and marching bands, illuminated while they make their way through dancing in the music and the talented singers mesmerizing the crowd with their songs. This procession is called Pegoulade and proceeds throughout the day till the dark of the night. The crocodile is always parading at the end of the procession. Corrida: Corrida is basically a bullfighting originated from Spain where the bulls have to be killed toward the end. 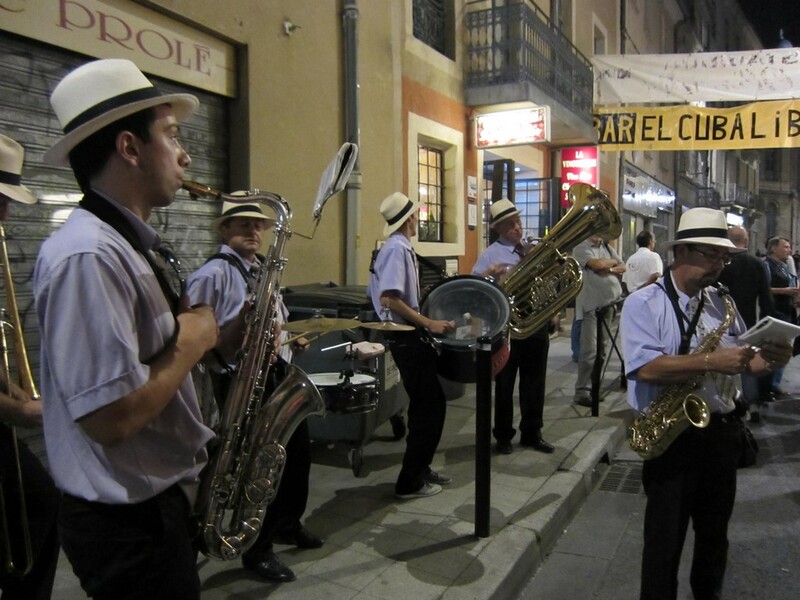 The roman areas of Nîmes and Arles are well known for carrying out this traditional ritual. The Corrida is a fantastic display of talent and cunning strategies where the bull is fighting until it is finally taken down by the torero. The stages of this game are worth observation while a superb music plays in the background. This tradition has enticed a lot of people, often not native from the region who actively debate on the cruel nature of the game and are working to stop it. That being said, it is an old local tradition and as such we have to respect it or just leave it. 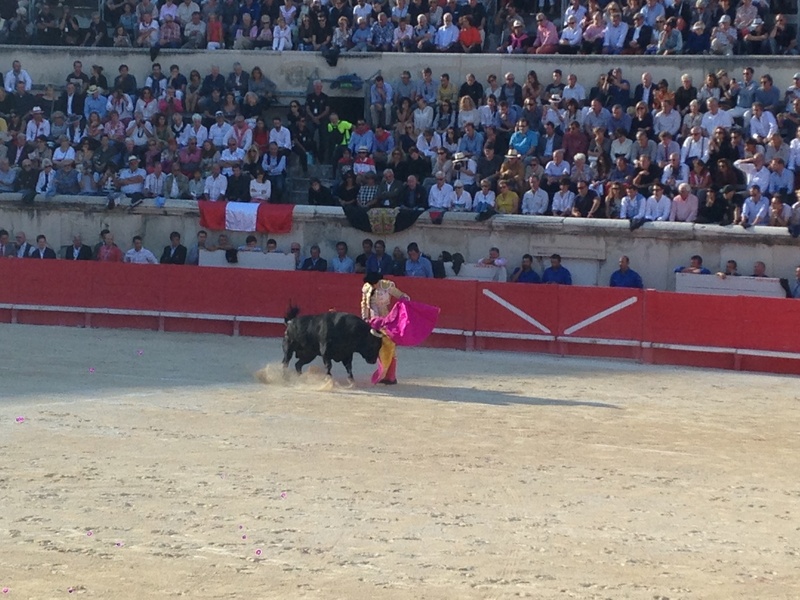 Corrida is the evidence of how the Spanish Culture is very present in the region and this highlight attraction is an outstanding source of income for the city of Nîmes. 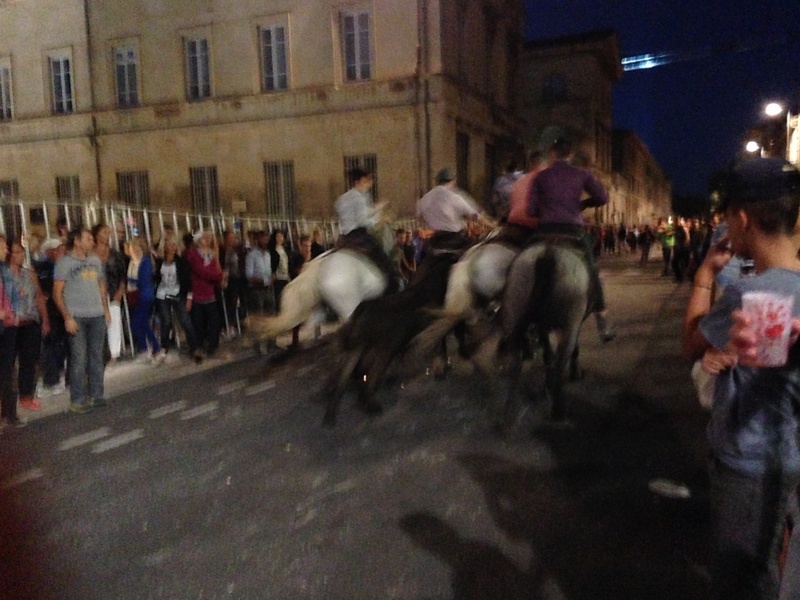 Corridas are organized several times per year in Nîmes during the Ferias and some other events. It is extremely important to notice that the bulls used for Corridas are only raised and selected for Corridas. They are selected for their brutality and those 600kg muscular animals (at the opposite of most animals) never give up a fight, whoever the opponent is, they have to fight till death. Without the corridas, those kind of bulls would have already disappeared from Planet. Bodega: Traditionally in Spain the Bodega is the time when the cellars are generously opened and wine and sangria makes its way through the masses, making a grandeur exhibition of outdoor bars. 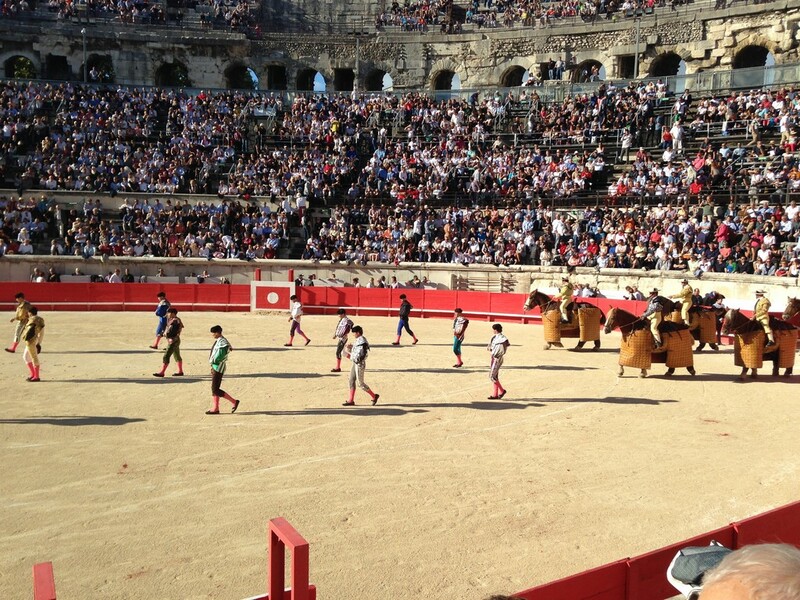 Nîmes keep the same or similar tradition. 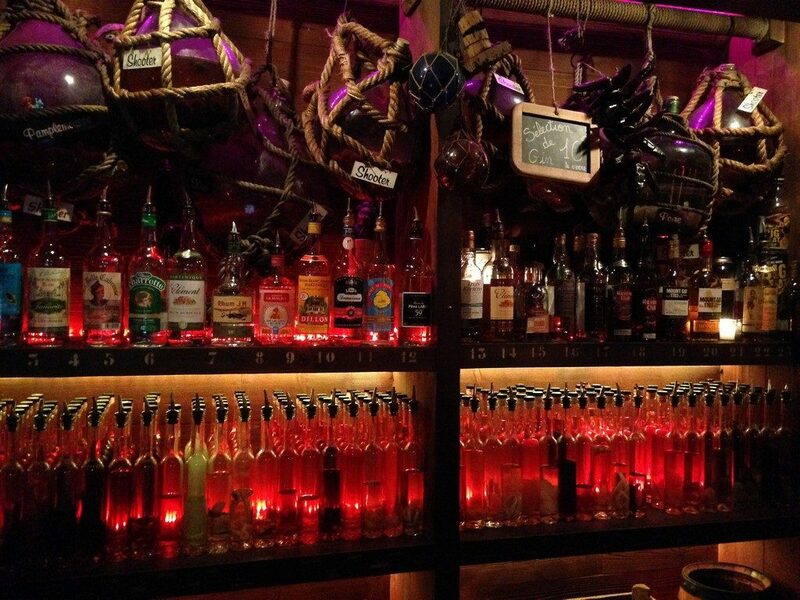 Therefore, we can also see several bars or pubs turning into what we locally call bodegas. They are not cellars by definition but they become a bodega by extending their bar right into the street. Most drinks are served in the bodegas especially the local drinks: Pastis and Sangria. 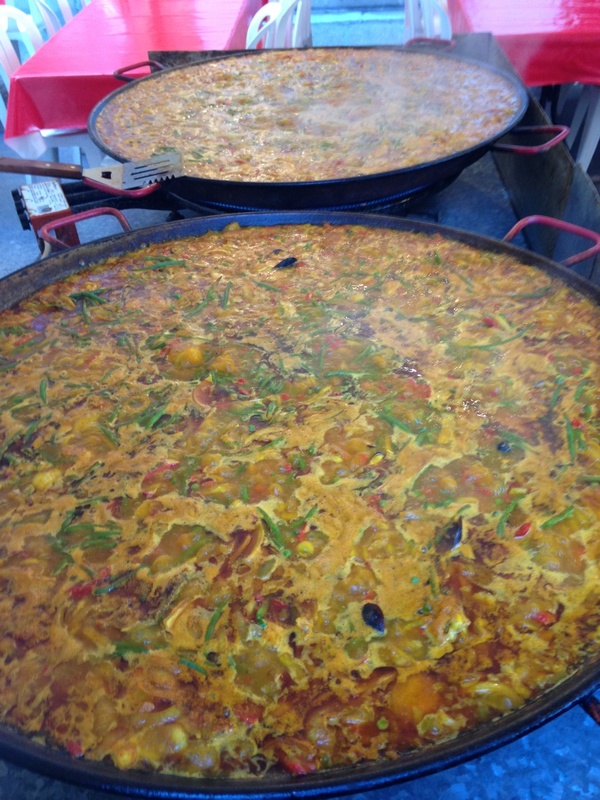 During the Feria there is a hundred bodegas in the city, you will find them along your way however you may want to select them and go for the most exciting and authentic ones. 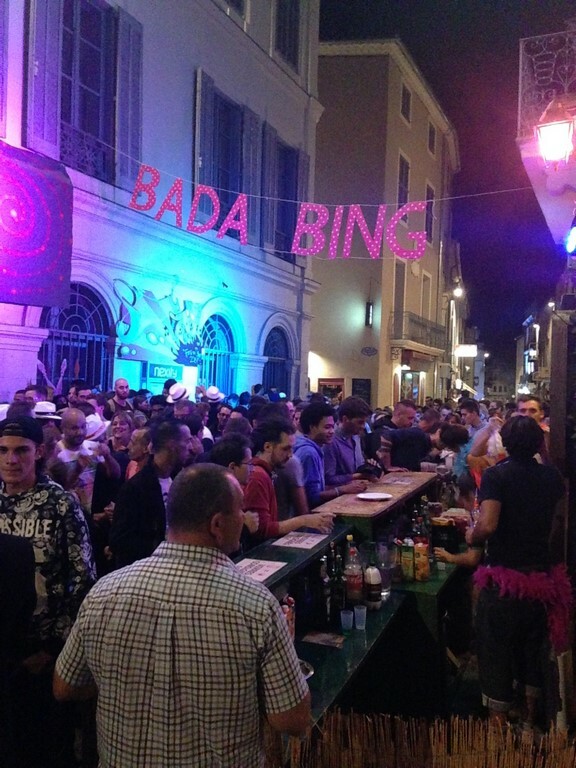 Among the most well-known bodegas in Nîmes you can find the traditional Bodega Pablo Romero (12 Rue Emile Jamais), the trendy and Jet Set bodega de l’hotel Imperator (in the 5 star hotel Imperator 15 Rue Gaston Boissier), la bodega de la Talanquera (Place d’Assas), the cheeky bodega Le Victor Hugo (36, boulevard Victor Hugo) and so on. Abrivado: This is the crème de la crème when it comes to local events from Camargue. 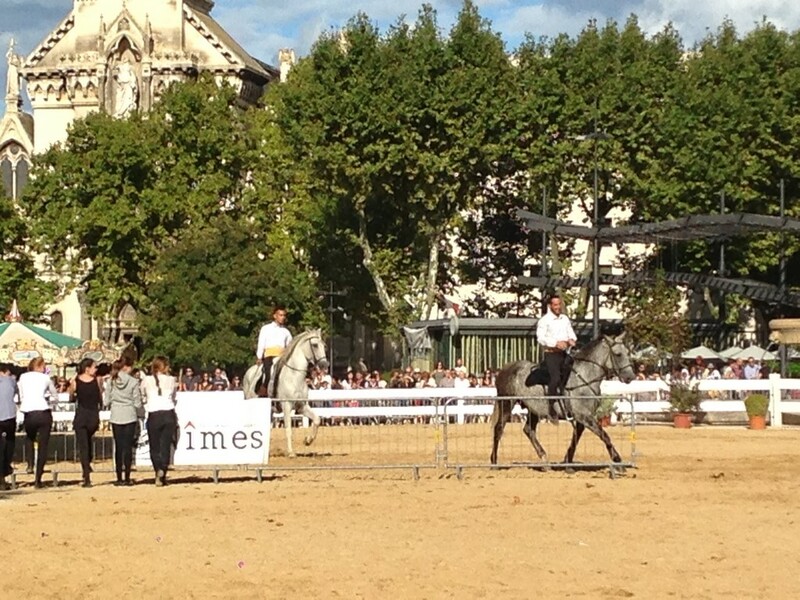 Ardent horse riders love this event when a tribute is paid to the splendid bovines and horses. Horses hammer and gallop through the grounds of the street several time per day making a spectacular sight for the spectators. This game also includes a test in which the gardians are tested to imprison the bulls and denying them any chance to escape. During the abrivado several safety barriers are set up along the streets to avoid the bulls to escape. Then the gardians have to bring the bulls from a point to another (often the arena). Along the way the gardians have to avoid the attrapaïres. 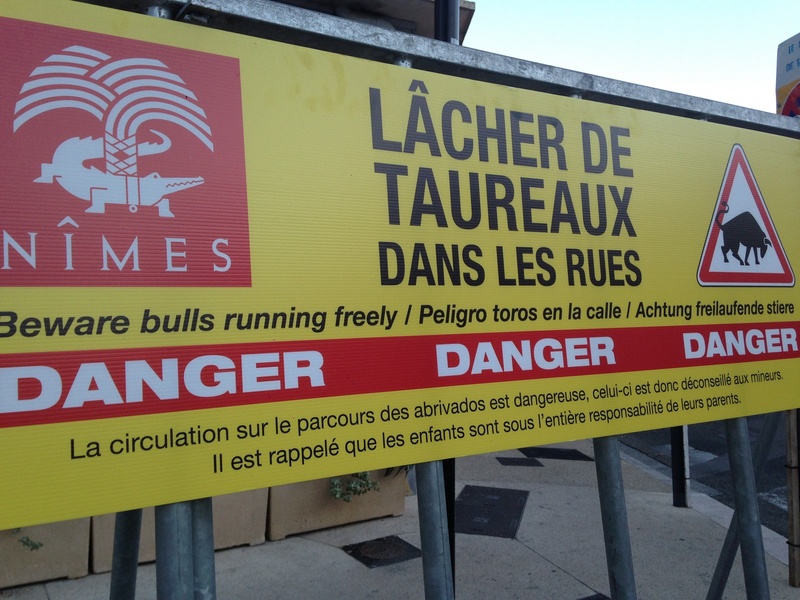 The attrapaïres are in provencal language, the people who try to make the bull escaping from the parkour. It often leads to a lot of tensions, fun and emotion especially when the bull pass through the barriers or is being stopped and catch. 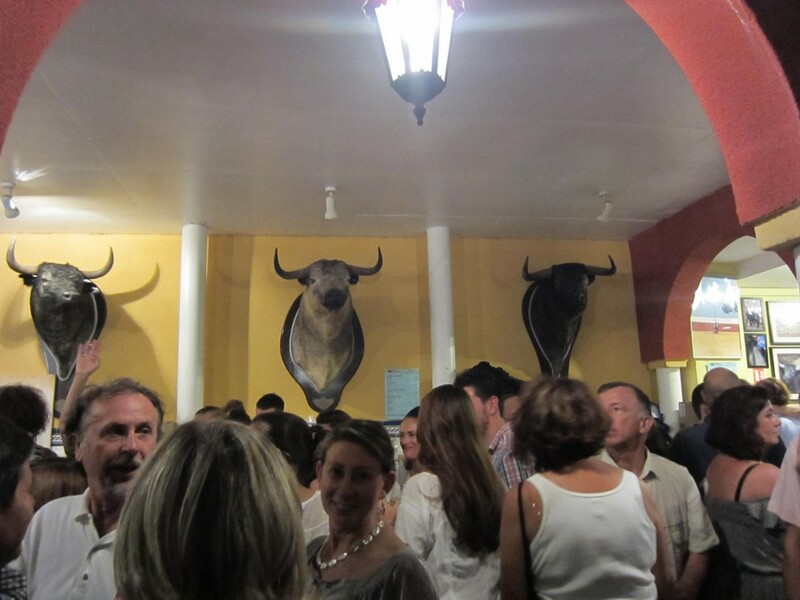 It is interesting to notice that the bulls used for the abrivado and the courses camarguaises are bulls from camargue. It is interesting to notice that the bulls used for the abrivado and the courses camarguaises are bulls native from the region of Camargue. They are quite different from the bulls used for corridas. The bulls from camargue (“Taureaux de Camargues” in French) are lighter, the shape of their horns are different and they are whiling to “play” with the people who stay around them. At the opposite, the bulls used for corridas are not willing to play at all, they just want nothing but to quickly kill anybody who stay on their sight. Therefore, don’t be afraid so much of the abrivado, it is fun to watch as long as you respect the safety rules, which are basically to stay behind the safety barriers. Pena: Penas are small bands that perform on the boulevards and streets, entertaining people with their sweet and melodious tunes. The people carry small brass bands that are used for producing mesmerizing tunes to make the audience sway in a magical manner. They often play paso doble but they can also play any other kind of lively music. The Penas are moving all over the city, so you can find different penas in different streets and boulevards. If you want to have all chance to see Penas, it is suggested to go to the Boulevard Victor Hugo, the Esplanade Charles De Gaulles, the Place de la Maison Carrée or the Place des Arènes. Flamenco: Native from the southern regions of Spain, this is a music style where performers and artists showcase their talents in guitar playing and singing along side their surreal colorful dance performances. The flamenco festivities are a splendid source of cultural and regional display and Nîmes is well-known for holding several time per year Flamenco concerts especially during the Ferias. 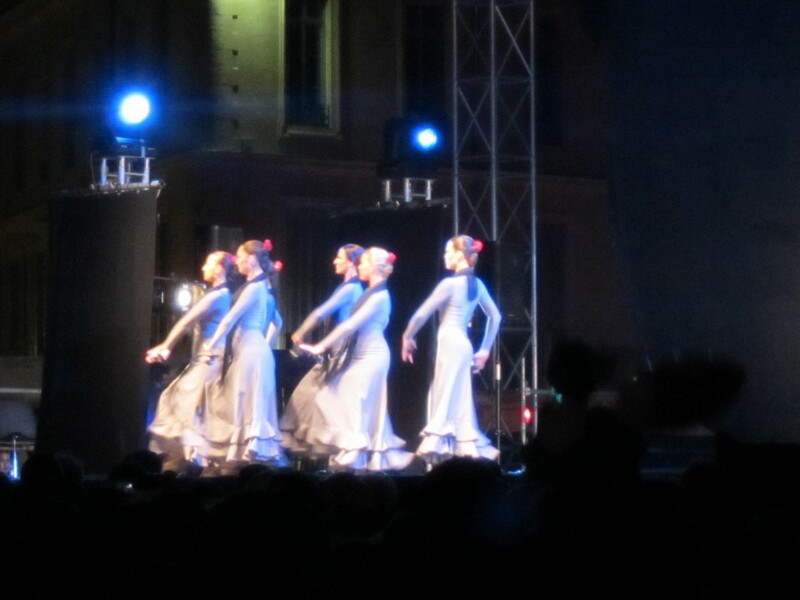 Flamenco performances are taking place in many area of the city especially in La Placette, the Place de Arènes. Other attractions: Throughout the Feria you can also see plenty of other attractions such as horse performances (the day time at the Esplanade Charles de Gaulle), Sevillana dances, music concerts of all sort from pop music to techno music, traditional market on the Esplanade Charles De Gaulle where you can buy local food and local souvenirs. A walk in the streets. 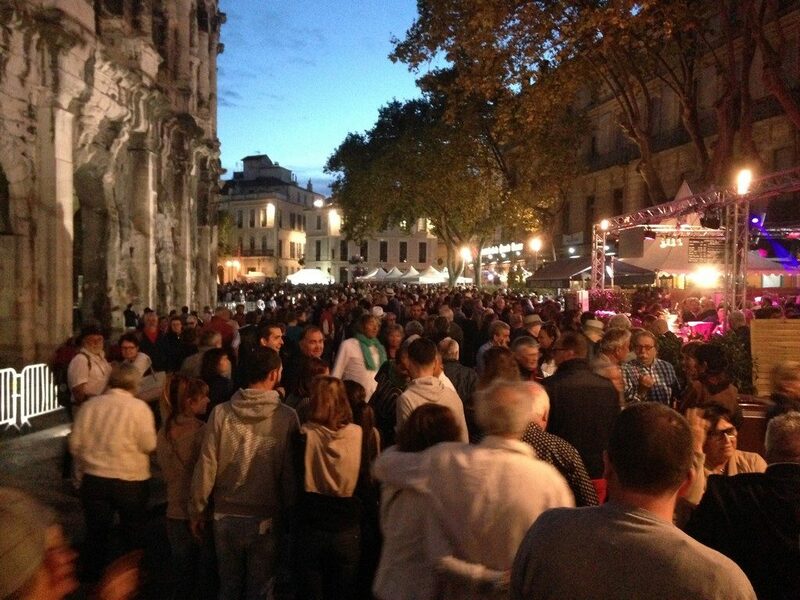 The streets of Nîmes during the Feria are extremely crowded, fun and exciting. 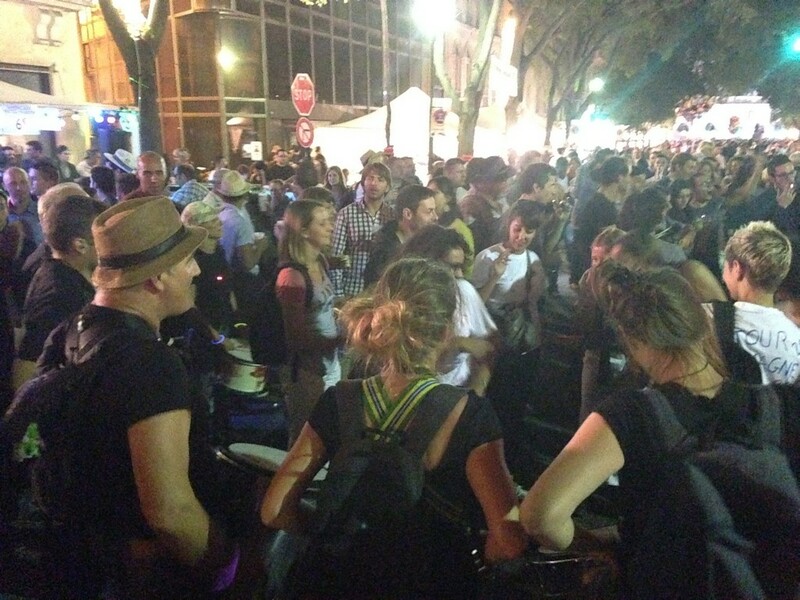 Don’t hesitate to walk around the city and get into the narrow streets to feel the vibes of this outstanding festival. If you like crowed and crazy atmosphere pass by the Rue Jean Reboul and have a drink at the bar Le Prolé, then walk furthermore in direction to the Arena to reach the Bar de la Grande Bourse on the Boulevard Victor Hugo, take a break and have a pastis there. From there walk along the Boulevard Victor Hugo and have a paella or a gardiane de taureau at the restaurant the Lisita, you may order a Costieres de Nîmes rose wine to drink with it. From there go back down the Victor Hugo and go to the Place du Marche. From there you pass by the very crowded rue Fresque and enjoy the several bodegas all along your way until you reach the Place de la Maison Carrée. 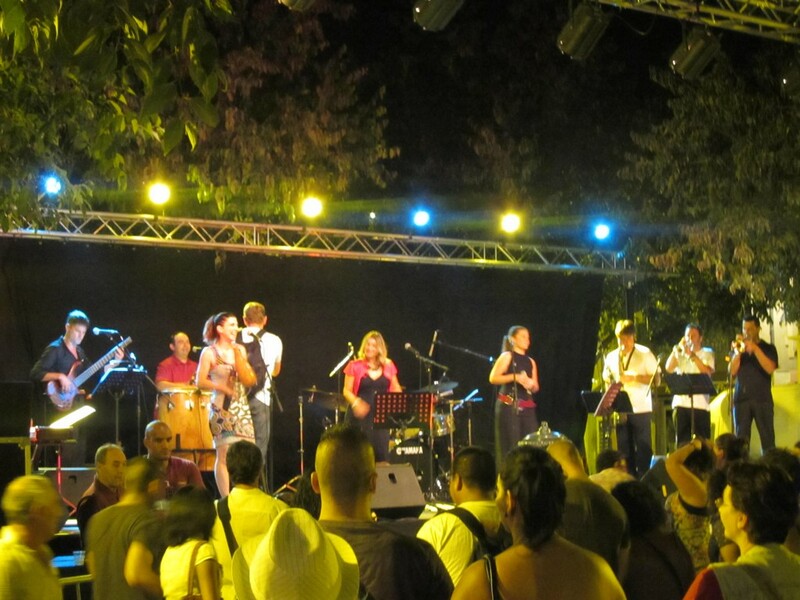 Just stop by the other places (place d’Assas, Imperator Hotel, La Placette, Bar le Victor Hugo etc…) to listen to live music, see flamenco performance, eat delicious local food or to dance on the rhythm of the Paso Doble. 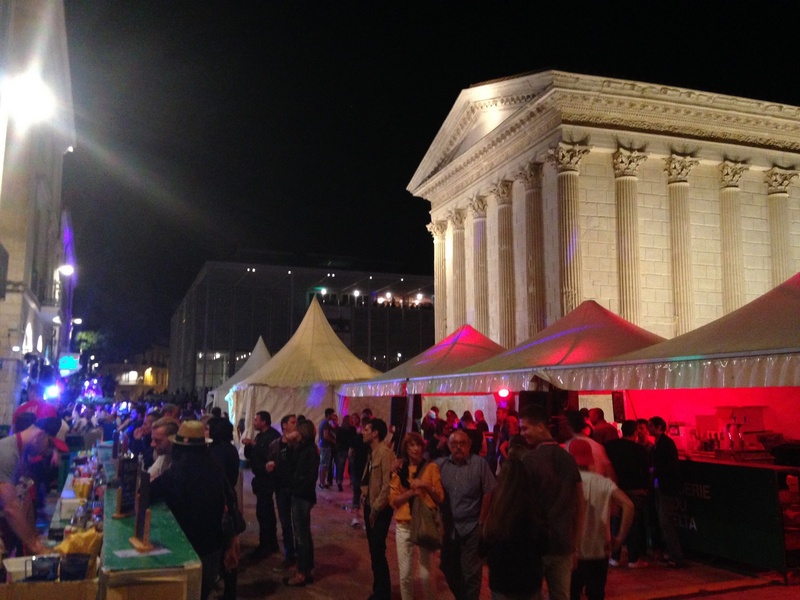 During the Feria of Nîmes you can enjoy all these things while having a drink with friends until dawn and this is what makes the Feria a magic moment close to an out-of-the-world experience.